Below you can view all the townhouses for sale in the White Oak Preserve subdivision located in Smyrna Georgia. 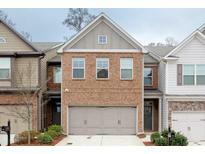 Listings in White Oak Preserve are updated daily from data we receive from the Atlanta multiple listing service. To learn more about any of these townhouses or to receive custom notifications when a new property is listed for sale in White Oak Preserve, give us a call at 404-998-4102. 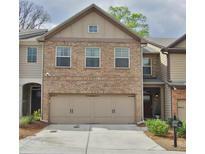 This Unit Is One Of Newer Built In The Community & Has Privacy On The Back Patio. MLS#6539080. Atlanta Communities. Close To 285, Shopping, Entertainment, The Battery And Suntrust Park. MLS#6538604. 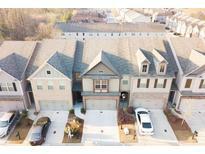 Atlanta Intown Real Estate Services. Under 30 Min To The Airport W/ Easy Access To The Interstate, 5 Miles From Suntrust Park And Only 6 Miles To Buckhead, Within 2 Miles Of Future Beltline. MLS#6537655. Keller Williams North Atlanta. Come See For Yourself! Won'T Last Long! Private: MLS#6529611. Keller Williams Rlty, First Atlanta. Must See This Exceptional And Highly Desirable Flrplan For Yourself MLS#6525121. Keller Wms Re Atl Midtown. Walk-In Level To The Main Living, Features A Fireplace Great Room Open To The Dining Room, Custom Kitchen, Walk-In Pantry And Powder Room On The Main Floor. MLS#6120456. Virtual Properties Realty.Com. Residents Are Close To Major Professional Sports Venues And A Short Drive Away From Shopping And Dining At The Cobb Galleria, And Vinings Village. MLS#6119341. Maximum One Greater Atlanta Realtors.